For the early church the Baptism of Our Lord is more important than the arrival of the Magi for the feast of epiphany. It was the time when the voice from God was heard from heaven and the Holy Spirit came down on Jesus and the Trinity was manifested. 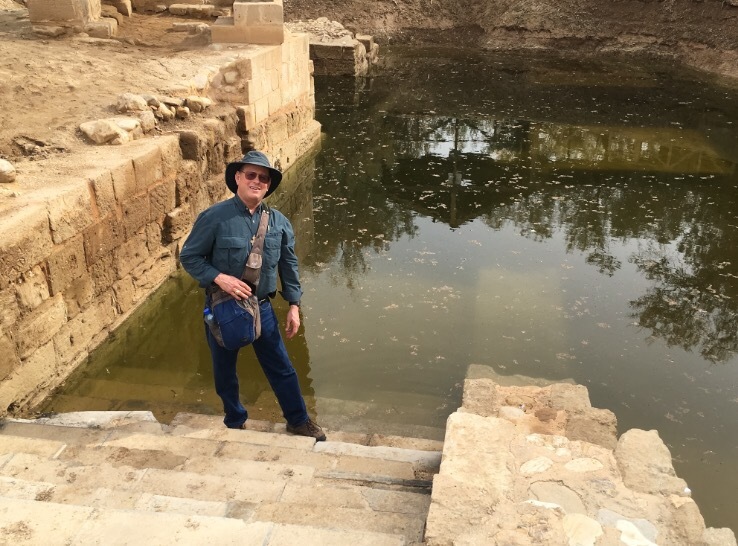 This week we are at the exact baptismal side of Jesus as you can see in the picture and where I am standing in a wider view of the Jordan River as well. 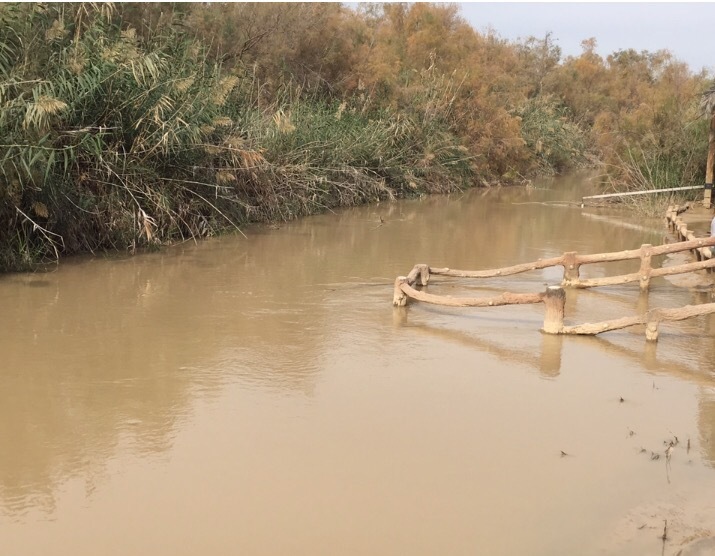 This week we are traveling through Jordan visiting all the biblical sites – more on that later.